We've always measured the world around us, from how big things are, to how fast they go, how much they're worth and practically everything in between. But who decided how we do it, and why? 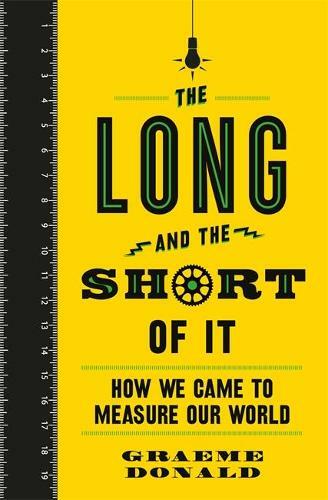 The Long and the Short of It takes us back in time to discover the origins and evolution of a huge variety of different units of measurement. On the way it answers such questions as: Why do we measure time in units of 60? How do you determine the height of a mountain when sea level keeps changing? Why did the length of a mile once depend on where you came from? What's the width of a horse's backside got to do with NASA's booster rockets? Packed with fascinating stories, this is an intriguing guide to the many systems of measurement that make sense of our daily lives, from pounds and parsecs to bushels and barricades.